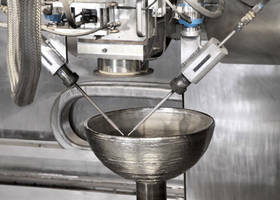 CHICAGO, March 14, 2017 - Sciaky, Inc., a subsidiary of Phillips Service Industries, Inc. (PSI), and leading provider of metal additive manufacturing (AM) solutions, announced today that a Japanese supplier has purchased an industry-leading Electron Beam Additive Manufacturing (EBAM™) system. 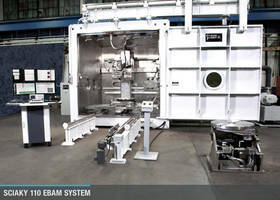 This will be the first installation of a Sciaky EBAM system in the Asia-Pacific region. The Japanese supplier, who wishes to remain anonymous for competitive reasons, will unveil details of this project in the fall of this year. The company plans to utilize the Sciaky EBAM 110 system to offer 3D printing services to its customer base, as well as for internal product development. "Sciaky is excited to work with this forward-thinking company," said Bob Phillips, Vice President of Marketing for Sciaky, Inc. "This is an historic milestone for the metal 3D printing market in that it will offer manufacturers in the Asia-Pacific region an opportunity to take advantage of EBAM's one-of-a-kind capabilities." 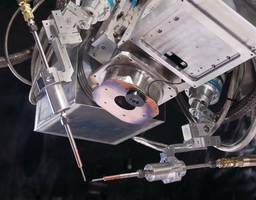 Delivery of the Sciaky EBAM system is scheduled for January 2018. 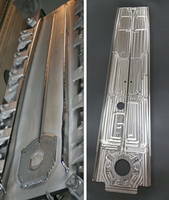 As the most widely scalable, metal additive manufacturing solution in the industry (in terms of work envelope), Sciaky's EBAM systems can produce parts ranging from 8 inches (203 mm) to 19 feet (5.79 meters) in length. 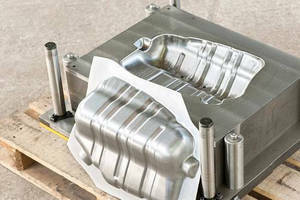 EBAM is also the fastest deposition process in the metal additive manufacturing market, with gross deposition rates ranging from seven to 20 lbs. (3.18 to 9.07 kg) of metal per hour. EBAM brings quality and control together with IRISS™ – the Interlayer Real-time Imaging and Sensing System, which is the only real-time monitoring and control system in the metal 3D printing market that can sense and digitally self-adjust metal deposition with precision and repeatability. This innovative closed-loop control is the primary reason that Sciaky's EBAM 3D printing process delivers consistent part geometry, mechanical properties, microstructure, and metal chemistry, from the first part to the last. For more information on Sciaky, visit www.sciaky.com.